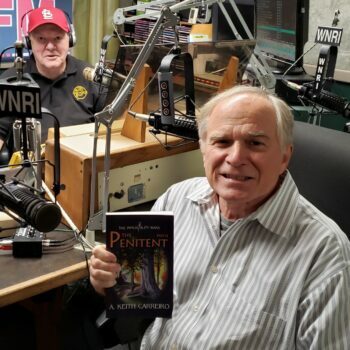 26 September 2017 Interview with Wayne G. Barber, Host of “Author’s Hour” on WNRI, 1380am / 95.1fm, Woonsocket, Rhode Island. Highlights from the interview with Wayne are listed below. Interview topic was on the Penitent – Part I. Quotes are from Wayne: (1.) II like sci-fi. I digested it, and I talked with you on the phone….